When you have a large family having something for everyone and keeping all happy can be a real challenge. 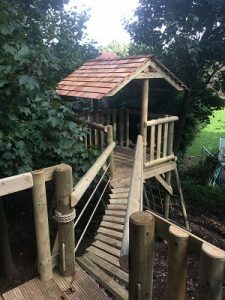 When faced with designing a treehouse for a family of six, with a two, three, nine and fourteen year old, we needed to assemble the right mix of play to make it entertain one and all. After asking the kids what they would like, and they had a pretty lengthy wish list, we added as much as we could to the design and pitched it to the family. 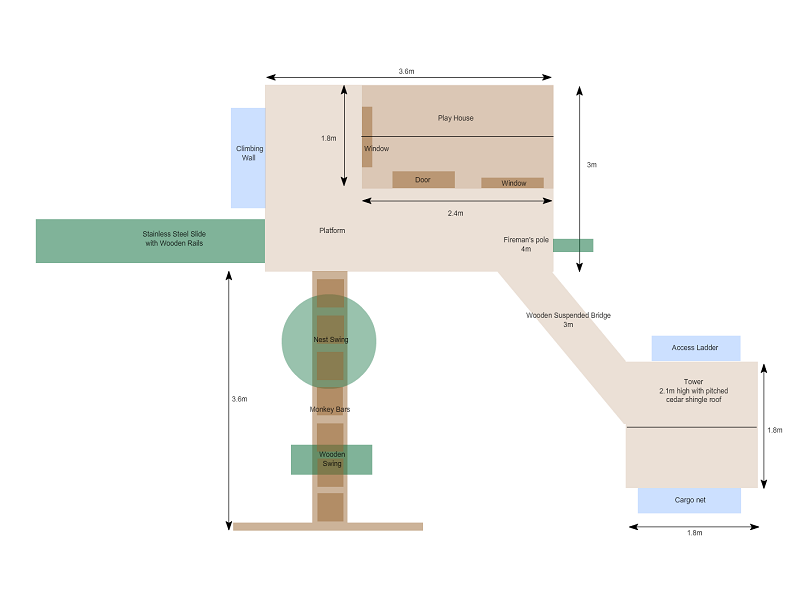 After a bit of back and forth, we hit the bulls-eye with our final design, and built the tree house of their dreams. When first seeing the space we had one noticeable obstacle: trees. Although beautiful, and certainly what you expect in and around a tree house, the trees in this garden were randomly spaced around the planned site which made fitting tricky. However, with some careful planning, we created a complex design that navigated the space and gave the kids everything they wanted. 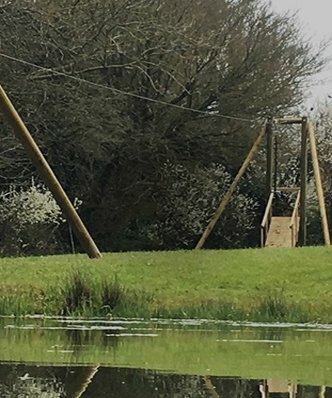 Using a chain supported clatter bridge meant we were able to angle the bridge around existing trees and use the space to create a twin-platform tree house. With four children, one platform isn’t enough if they all want to play at the same time. 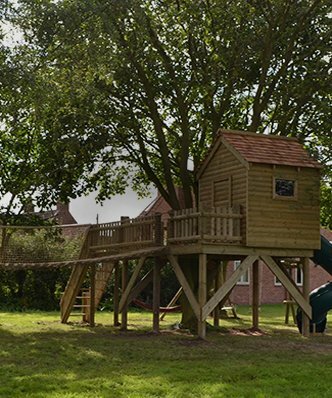 The tree house offers an impressive array of activities. You can test your strength and hand-eye coordination as you scale the heights of the climbing wall. Or figure out your balance as you race your siblings to the top of the wobbly cargo net. For the smaller ones, there is a swing to share. Dad will have great fun testing what heights he can take the children to, but only until Mum comes outside and tells him to stop and get down ‘right now’. What makes this build looks so spectacular? The Cedar Shingle roof is stunningly offset against the green surroundings. 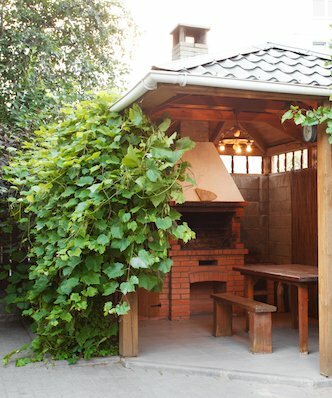 It provides a sheltered area, especially if the weather takes an unexpected turn. 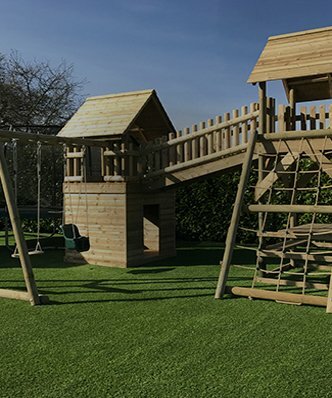 The larger platform also gives the children their own space to hang out and play. 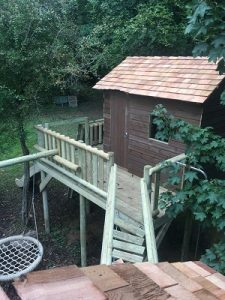 The younger ones can store their toys like dollhouses and board games in the tree house, and take a ‘time out’ when the fun gets too much. For the older kids the play house is less appealing unless we’re talking summer sleepovers. This house provides a separate, sheltered area in which they could invite their friends and sleep out under the stars. How cool is that when the weather warms up?